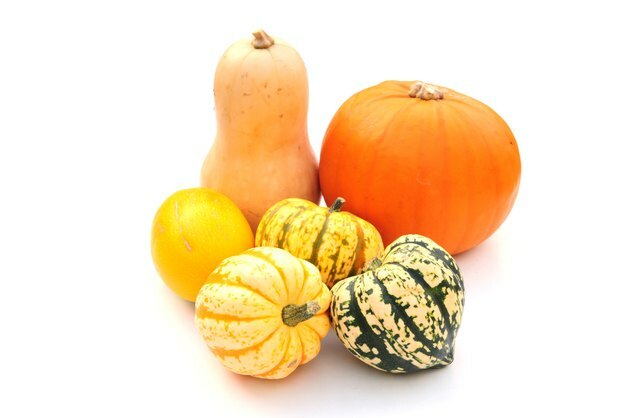 Among the many varieties of winter squash commonly available at farm stands and in grocery stores are the butternut squash and spaghetti squash. Both of these varieties provide a high amount of Vitamin A and fiber in a delicious low-calorie package. Because they are both winter squash you may be tempted to substitute butternut when spaghetti squash is called for in recipes, but several factors make this a poor culinary decision. 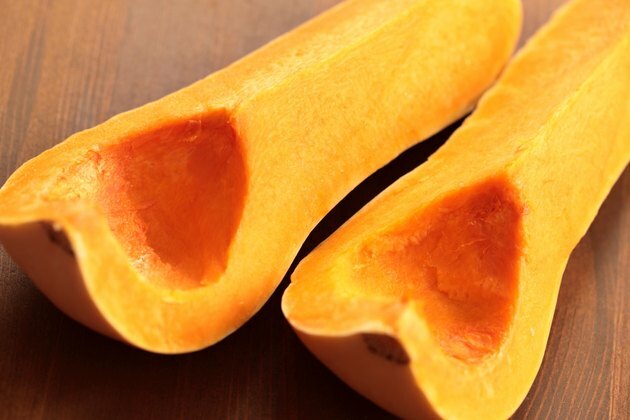 When cooked, you'll quickly notice the difference between spaghetti and butternut squash. Butternut squash has a smooth, almost creamy texture, but spaghetti squash has a stringy texture. 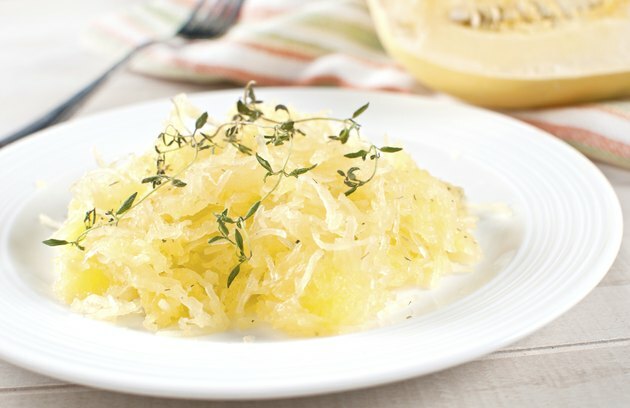 This stringy texture is what gives spaghetti squash its name use since the strands make a terrific low-calorie substitute for pasta noodles. Because butternut squash does not form these strands, it can't be used in place of spaghetti squash. Many varieties of winter squash, including butternut squash, have a sweet-nutty flavor that adds another layer of flavor when used in dishes or on their own. Like its pasta counterpart, spaghetti squash has a very mild flavor that adds little to other dishes but makes it perfect to allow the flavor of pasta sauces to shine. If you substitute butternut for spaghetti squash, the nutty flavor could overwhelm the sauce flavors, whereas substituting spaghetti squash for butternut could leave your dishes tasting bland. 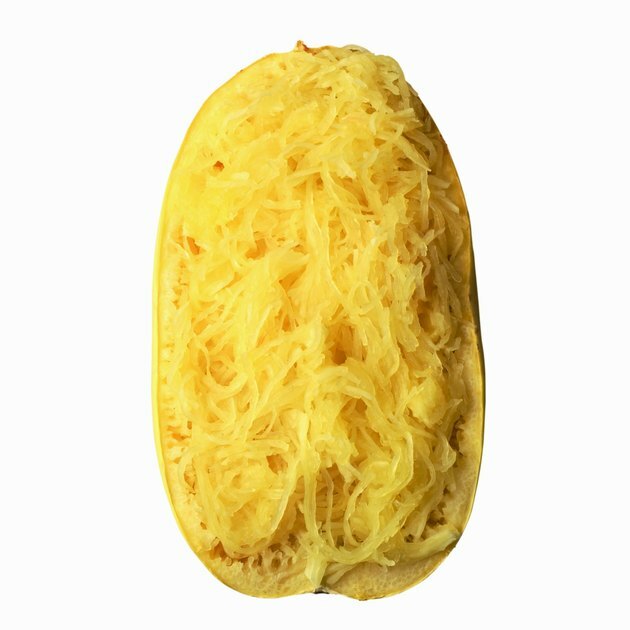 The flesh of spaghetti squash is a yellow that is even paler than the squash's skin. If you want to puree spaghetti squash to add moisture and nutrition to certain quick breads or other baked goods, the lightly-colored flesh won't affect the color of your final product. 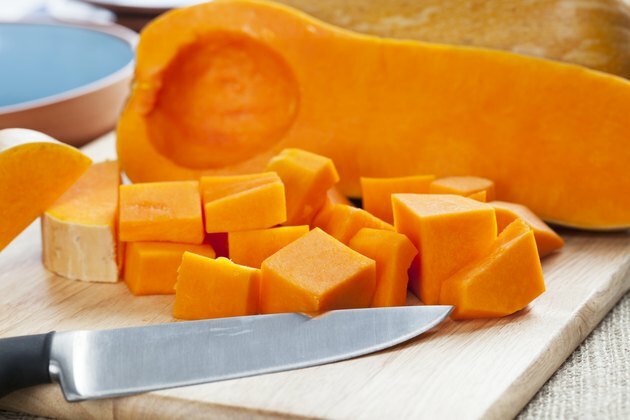 Butternut squash has bright orange flesh that looks lovely in soups and as a side dish. However, if you add pureed butternut squash to your baked goods, this bright orange can give your breads and muffins an odd color that may not be appetizing to some eaters. Despite their differences, shopping for and storing spaghetti and butternut squash is quite similar. Both squashes come into season in the fall and can typically be found until early winter. The skin of the squash should be so hard that you can't pierce it easily with your fingernail and should so no signs of damage. When you lift the squash, it should have a heavy feel to it and have no soft spots. Once you get your squash home, place it in a dry, cool place. Your butternut squash should keep for up to three months, but your spaghetti squash should be eaten within two months of purchase.